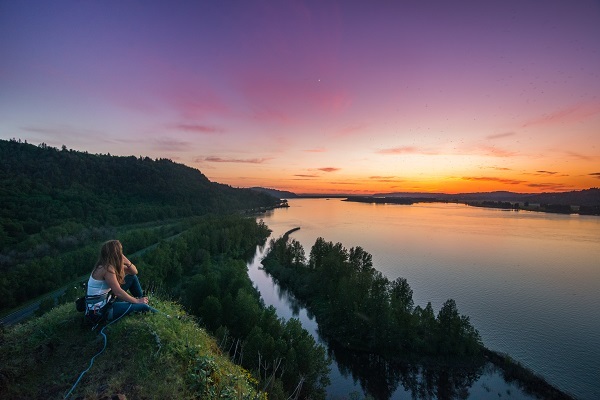 On its centennial birthday, the National Park Service offers a good way for adventurers in the Pacific Northwest to explore. 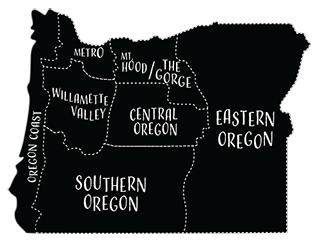 The Circle of Discovery is a loop of seven diverse national parks that begin and end in Southern Oregon, each with its own natural, cultural and historical legacies. Crater Lake National Park and the Oregon Caves National Monument and Preserve are the Oregon highlights. The Redwood Highway takes you into California to other national parks just beyond Oregon’s border. Crater Lake is Oregon’s crown jewel. 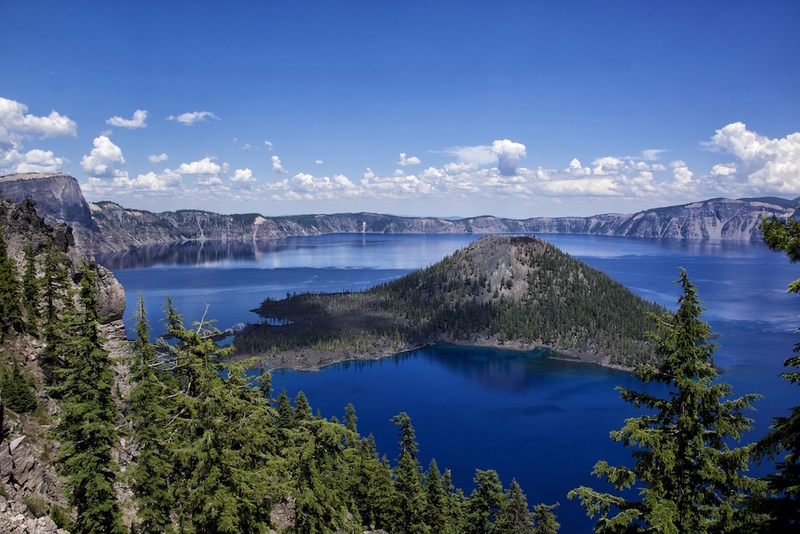 Christened “Lake Majestic” by early explorers and “giiwas” (sacred place) by the Klamath Tribes, Crater Lake formed 7,700 years ago when 12,000-foot volcano Mount Mazama erupted, then collapsed within itself, creating a caldera that gradually filled with rain and snowmelt. William Gladstone Steel petitioned for its protection, and in 1902, President Theodore Roosevelt, known as the “conservationist president,” established Crater Lake National Park. 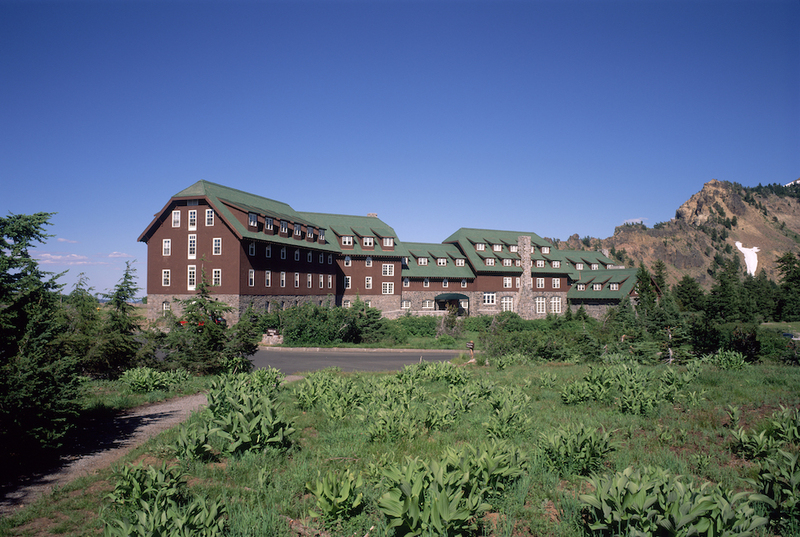 Its iconic lodge, built in 1915 and renovated in 1995, features seventy-one guest rooms and a dining hall overlooking the lake in a rustic atmosphere reminiscent of the 1920s. Viewpoints along Highway 62 overlook the volcanic pinnacles of Annie Creek Canyon Trail as you near the park’s south entrance. Grab a bite at Annie Creek Restaurant and Gift Shop, purchase a pass, and ascend to Steel Visitor Center to watch an orientation film. Take a bike or trolley ride around 33-mile Rim Drive, or hike some of the 90 miles of trails before returning to refuel at Rim Village Café and Gift Shop. Check out the Rim Visitor Center and Sinnott Memorial Overlook. 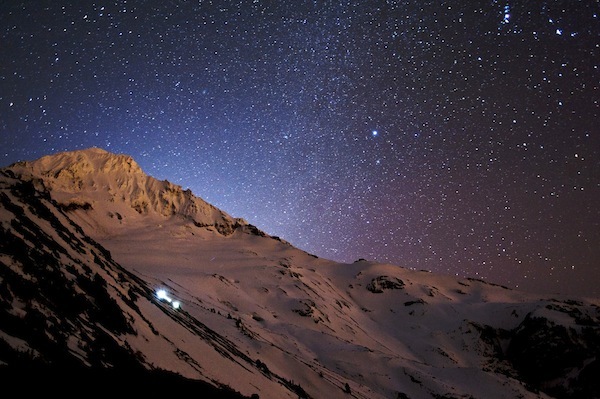 At nightfall, catch some amazing stargazing from 7,000 feet (the Perseid meteor shower peaks August 12 and 13). The story goes that hunter Elijah Davidson had just bagged a prized buck high in the Siskiyou Mountains of southwestern Oregon in the fall of 1874, when his hunting dog, Bruno, caught the scent of another animal. Dog Bruno chased after a bear, Davidson chased after Bruno, and all three wound up inside a cave hidden in the forested mountainside. The event made headlines—the “Marble Halls of Oregon” had been discovered. 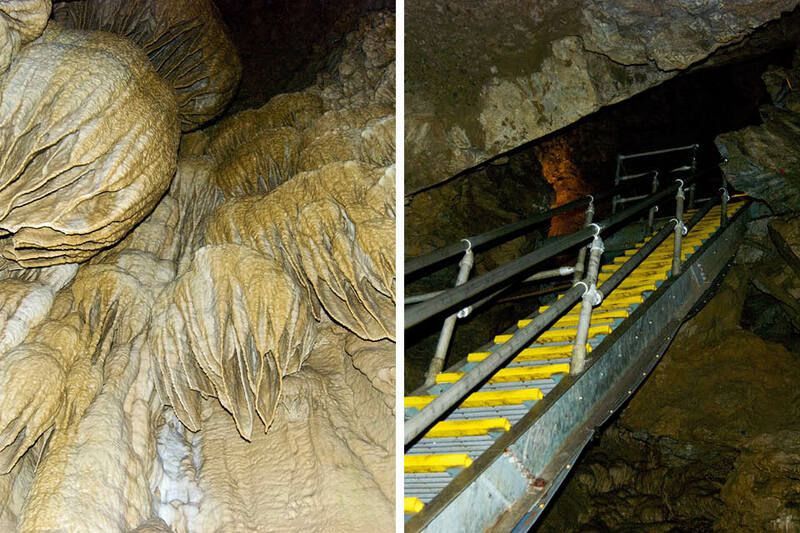 Tourists flocked to see the phenomenon, and in 1909, President William Howard Taft established Oregon Caves National Monument and Preserve. 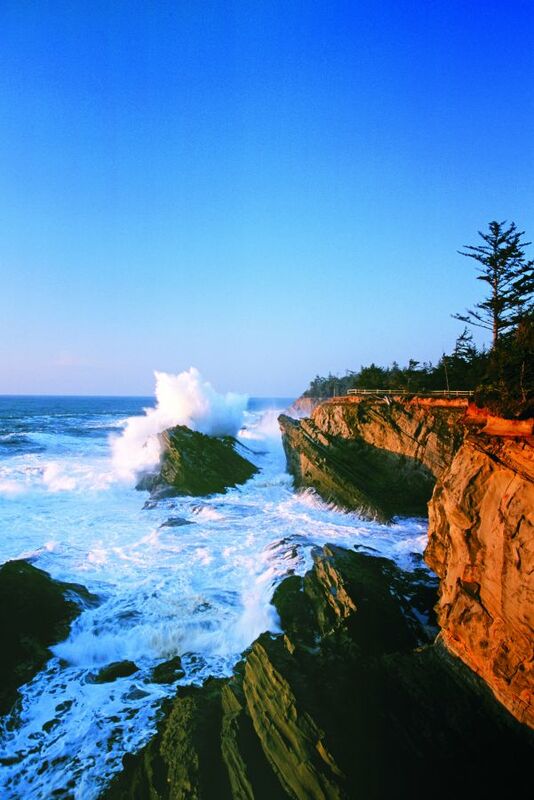 Reach the park’s remote location by taking the Redwood Highway (Highway 199) from Grants Pass to Cave Junction, then turn east on Highway 46. 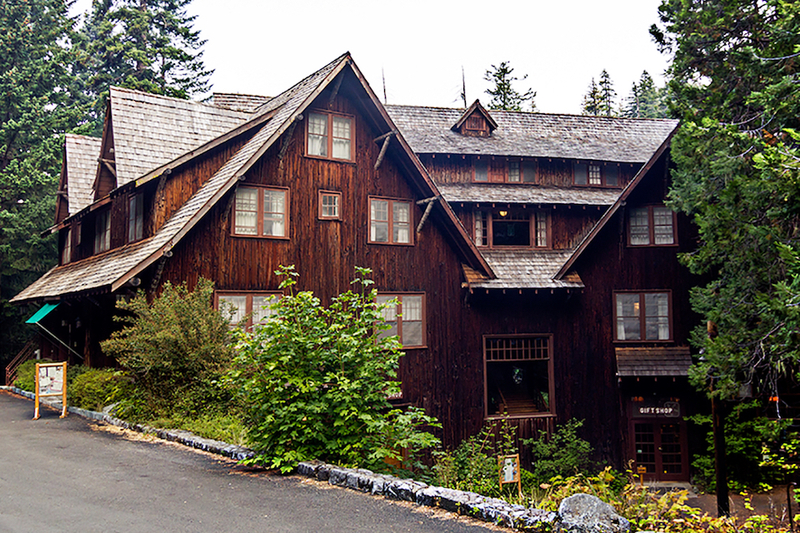 Blended into the natural environment, the Oregon Caves Chateau and adjacent Visitor Center are sheathed in Port Orford cedar bark, and the six-story château straddles a wooded ravine over Caves Creek. Inside, thirty-inch log posts and open beams, a double-sided marble fireplace and a grand wooden staircase add to the rustic ambience. Antique-filled guest rooms have changed little since the château was built in 1934. Televisions, radios, telephones and internet service are absent. Make a dinner reservation at the château and ask for a table by the picture windows. After dinner, spend the evening hours in the lobby playing board games, reading, or sipping local wine and beer in front of a roaring fire. 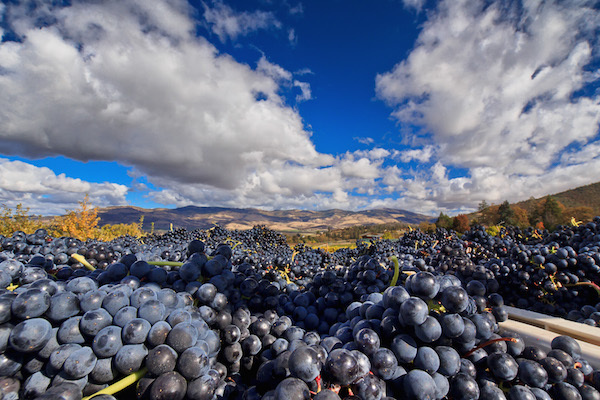 Afterward, hike six scenic trails that meander through the ancient Rogue River Siskiyou National Forest.